PUBG Mobile Tips to survive for long time in VIKANDI: Hi guys,if you are looking for some PUBG tips which will help you in New Vikandi Map then you are at right place. With latest update in PUBG Mobile Vikandi map was released.While the matchmaking for the same went live on 21 December 2018.Vikandi map Will be available in Jan 2019 for all platforms. PUBG Vikandi Map is 6km × 6km and its size makes it smaller than Erangel and Miramar but larger than sanhok.This Map gives players balanced experienced between the two maps.The snow-covered map is truly stunning and is the best map available in the game so far. 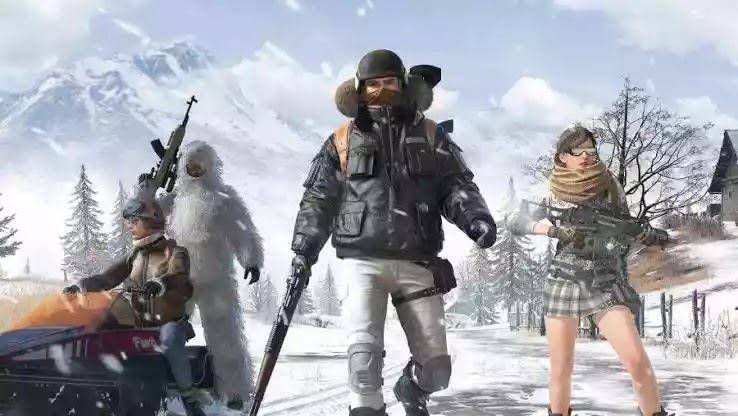 With some new features in the snow map,players need to adjust their gameplay to survive till last ,and this article will outline a couple of tips one could follow to survive longer and eventually win the Battle Royale. Will Pubg Banned in India. This is the main tip which new players as well as old players should follow to get Chicken Dinner.In its early stages,it is said by maximum players that SMGs are much plenty as compared to other weapons in the game. These SMGs are better for close combat fights but falls short on long range. So get in good position before taking the shot on enemy as it gives away your position. Failing which, the opponent could make it a short story if he is lucky enough to find a powerful weapon. #2 Prefer DMRs over bolt-action sniper rifles. This is main as well as best tip for beginners and casual PUBG gamers.As Bolt action snipers don't allow you to shoot multiple rounds .Bolt action snipers have more range and much damage then DMRs but With the help of DMR you can shoot multiple rounds on enemy. Failing to give exact shot with Bolt action sniper will punish you if you are beginner to use snipers .So you should use DMRs instead of Bolt action sniper until you will not learn proper use of them. A sniper rifle would be more effective if you manage to find a ghillie suit, and camp at an elevated position inside the safe zone. Knowing your surrounding will help you a lot to survive for long time not only in Vikandi but in all other PUBG maps.Once you know all about any map ,you will become pro in that map .In starting time it will be difficult for you but once you learn you will automatically know some tricks. The ability to track footprints and vehicle prints will help you a lot to know position of your enemy .If you get used to this it will be easy for you to get Chicken Dinners.This trick doesn't apply for Vikandi only but applies for all the PUBG maps. PlayerUnknown's Battlegrounds is available for PC, Xbox One and PlayStation 4 while the mobile version of the game is available for iOS and Android devices. Furthermore, the Vikendi snow map will be available across all platforms by January 2019. If this article “PUBG Mobile Tips to survive for long time in VIKANDI” was helpful for you then don't forget to comment down below.